Kellie dropped enough coins into the meter to buy us an hour and eighteen minutes. 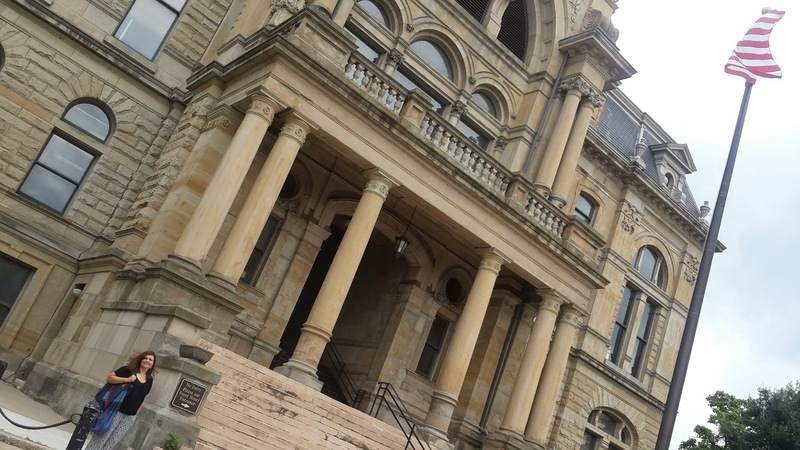 The courthouse was built in 1885, and is the seat of power for Butler County, Ohio, founded in 1803. We were here for the preliminary hearing for the re-adoption of Sterling. 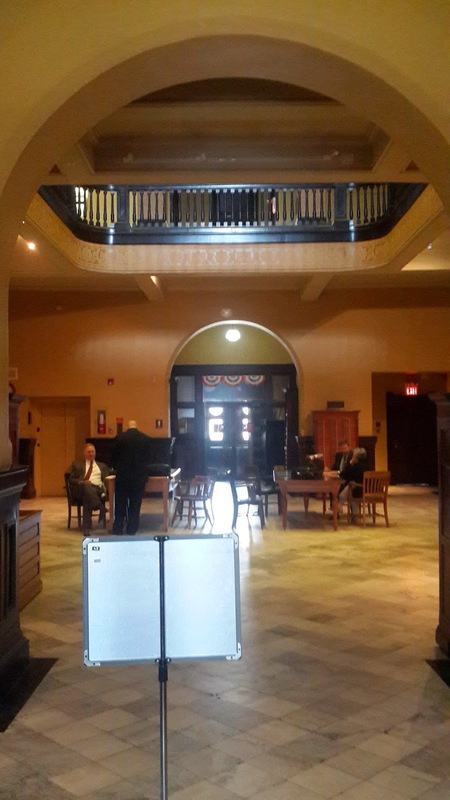 This past week we appeared before the clerk who agreed to waive the requirement for an attorney, so we sat under the rotunda with a bunch of loud chatting attorneys, waiting for the judge. A tall man walked through the room wearing a bow-tie. The attorneys all grew silent as he walked through the middle of the crowd. His gait passed by us on the outskirt of the room, he nodded and walked into the clerk's office. Soon he re-emerged and walked into the judge's chamber. Our name was called and we followed the clerk into the chamber and stood before the bow-tied judge. He smiled and said, "why are you here?" After a few minutes of nervous chatter and an exchange of documents, he hit us with a series of proclamations: "I prefer a simple process," "I like the full family to be present so the kids can bang the gavel," and "how soon do you want to have the trial?" Amazing! He asked us what we did for a living. We had told him that we were missionaries. He asked about the nature of our mission and asked if we were Christians. He smiled when we said "yes." And so we accepted the appointment of 9 a.m. tomorrow and returned to the meter with an hour to spare. In a few hours we'll make our way back to the courthouse with the full family in tow. We're gonna bang that gavel with gusto! Sterling Mei: (34) "Fully Ours - Again!" An Unexpected Journey - Incarceration!